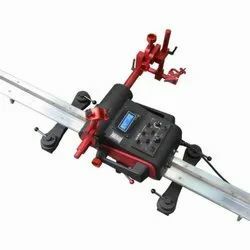 Promotech Automatic welding carriage ,Mehta sanghvi offer Cutting Track Carriage Dragon, Fillet Welding Carriage Gecko, Programmable Welding Carriage Lizard and Track Welding Carriage With Oscillator Rail Bull from India. and PG (vertical down) welding positions. ecko is a portable mini fillet welder designed to produce consistent high-quality welds using MIG/MAG welding torches. It features 4-wheel drive system with magnetic traction and a control loop feedback mechanism which provides speed stabilization in all welding positions.